This Lifetime LED Amber LED Light Bar is 20 inches and has 120 watts of LED power for your Jeep. 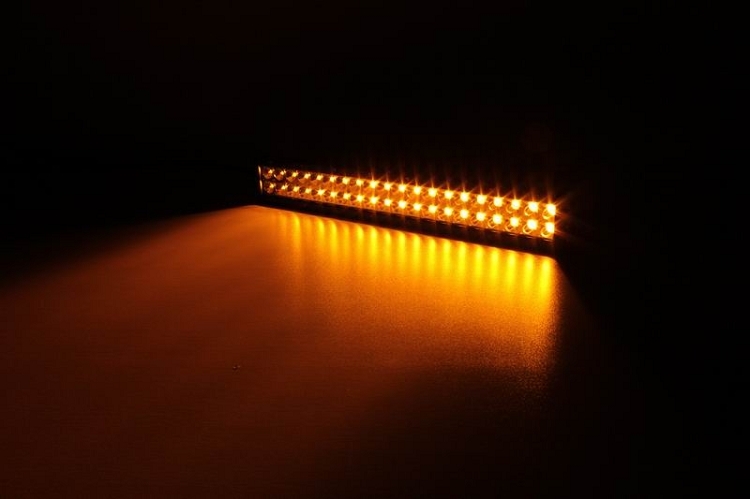 Now you have the option of using the Amber or White in this LED Light bar. The 40, 3 watt, high intensity Cree LEDs add up to you getting 120 watts overall with this Amber LED light bar. No need to avoid the adventure with this light bar, your new 20 inch Amber / White LED light bar is waterproof rated to IP67 so you can light it up in any weather conditions that come your way. The image above shows the Amber Light Bar on the White setting.